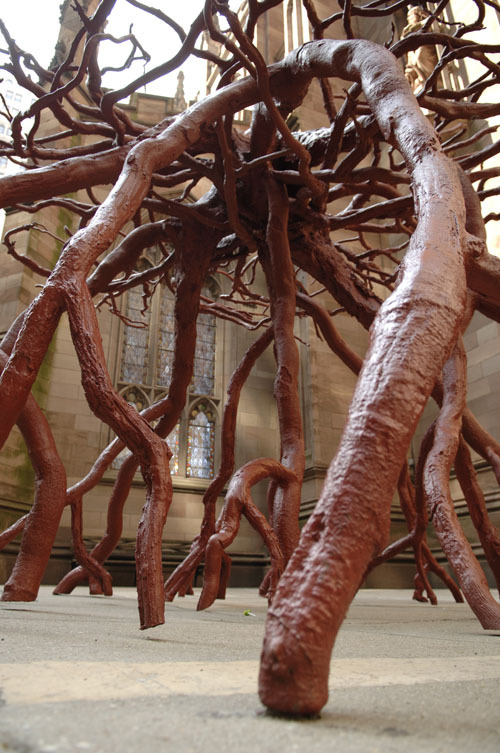 Trinity Root by artist Steve Tobin was dedicated to the people who died on September 11, 2001. This powerful sculpture in the churchyard of Trinity Church in New York City reminds us all of growth, the passage of time and our connection to all things. This photo is licensed under a Creative Commons license. Photo credit as Scott Beale / Laughing Squid laughingsquid.com.